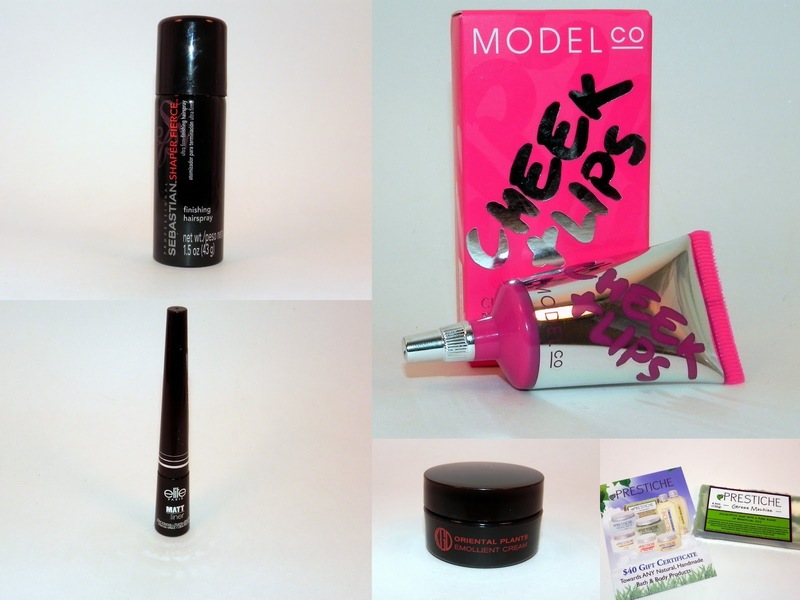 Here's what I got in my Birchbox. All in all, I really liked this box and felt it was great! And this was my Glossybox. I really like the products received, and was definitely pleased with this box. 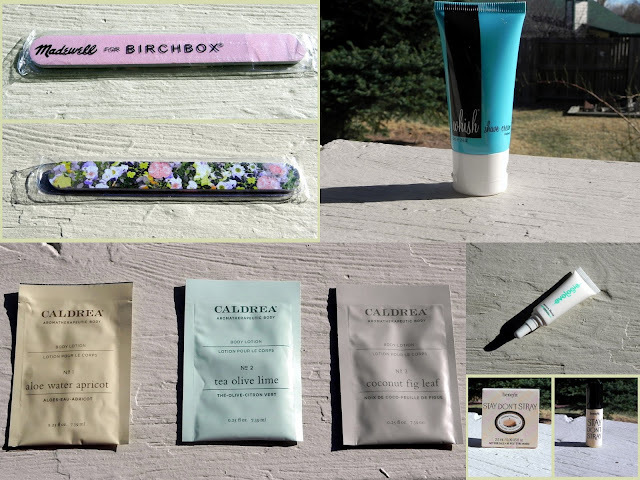 I was pleasantly surprised this month's Birchbox was worth nearly triple its cost. Usually Birchbox's value is less than double the cost, the price of the Evologie serum alone paid for the box. Glossybox, as usual, packs a heck of a lot more value compared to what your cost is. With three full-sized products this month, and a pricey but ahhhhmazing moisturizer sample, I certainly am pleased with the value compared to my cost. ...is Glossybox by a nose! Honestly, I'd say it was Birchbox but the Koh Gen Do moisturizer in my Glossybox is what sealed the deal. This stuff is incredible and makes my skin feel like silk. 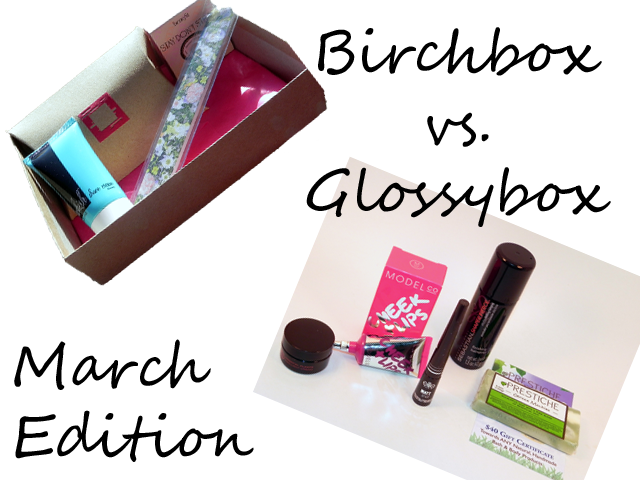 So that's my take on the March Birchbox and Glossybox and how they stacked up. Who would you pick for a winner? I also subcribe to both Birchbox and Glossybox and I feel that overall, Glossybox is a better value. On the other hand, I have received better advertised samples from Birchbox whereas before my first Glossybox, I had never heard of those beauty brands. I love your head-to-head comparison and your cost/value analysis. As a strategy consultant, I think that way too. We even have the same name! (Although my parents spelled it Leah). Great minds think alike! Have a great week!